3-Arthur Gordon (Cocky) Crothers was born on 2 Sep 1900 in Derby, Tasmania and died on 2 Nov 1976 in Launceston at age 76. Arthur married Hilda Myrtle Whitmore, daughter of William Whitmore and Amy Elizabeth Hall, on 4 Nov 1925 in St Pauls Church, Launceston. Hilda was born on 21 May 1905 in Scottsdale and died on 2 Nov 1937 in Scottsdale at age 32. They had six children: Lexie, Marjorie Avis, Rae, Graeme Arthur, Lyell Alwyn and Baby. 4-Lexie Crothers was born on 2 Dec 1926 in Scottsdale and died on 12 Dec 2001 in Hobart, Tasmania at age 75. Lexie married Hugh Radcliffe (Cliff) Parish, son of Hugh John Parish and Jessie Edith Brown, on 16 Dec 1950. Hugh was born on 6 Nov 1914 in Beaconsfield, Tasmania, died on 11 Jan 1973 in Launceston at age 58, and was buried in Carr Villa Monumental Cemetery. They had two children: James Radcliffe and Janet Radcliffe. 5-James Radcliffe Parish was born on 24 May 1955 in Launceston. 5-Janet Radcliffe Parish was born on 14 Dec 1957 in Launceston, Tasmania. 4-Marjorie Avis Crothers was born on 13 Jul 1929 in Scottsdale and died on 6 Aug 2003 in Launceston at age 74. Marjorie married Geoffrey William Holt, son of Tasman Smith Robinson and Dora May Garrett, on 14 Oct 1950. Geoffrey was born on 21 Oct 1927 in Flinders Island and died on 25 Jul 1997 in Launceston at age 69. They had three children: Maree Elizabeth, Christopher and Peter Arthur. 5-Maree Elizabeth Holt was born on 27 May 1952. Maree married Robbie Sanders. 5-Christopher Holt was born on 12 Aug 1953 in Launceston. Christopher married Roslyn. 5-Peter Arthur Holt was born on 28 Jan 1955. 4-Rae Crothers was born on 6 Mar 1931 in Scottsdale, died on 23 Feb 1975 in Road Accident Cn Pt Sorell & Frankford H'way at age 43, and was buried on 26 Feb 1975 in Carr Villa Crematorium. Rae married Jack Clark on 17 Nov 1949 in Winnaleah, Tasmania. They had three children: Michael Maurice, Ross Wayne and Michele Rae. 5-Michael Maurice Clark was born on 17 Feb 1950 in Scottsdale, Tasmania and died on 7 Jul 1956 in Pioneer, Tasmania at age 6. 5-Ross Wayne Clark was born on 12 Dec 1953 in Scottsdale, Tasmania. 5-Michele Rae Clark was born on 28 Nov 1958 in Scottsdale, Tasmania. 4-Graeme Arthur Crothers was born on 6 Jun 1933 in Scottsdale. Graeme married Betty Madeline Ellis on 18 Apr 1959 in Launceston. They had two children: Helen Elizabeth and Stephen Arthur. 5-Helen Elizabeth Crothers was born on 25 Jan 1960 in Launceston, Tasmania. 5-Stephen Arthur Crothers was born on 2 Aug 1962 in Launceston, Tasmania. 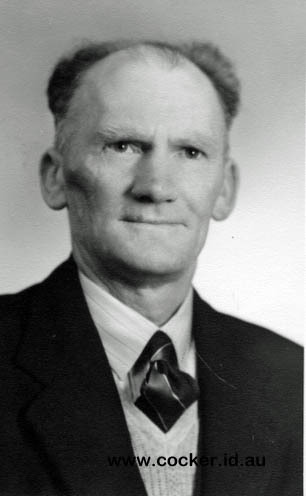 4-Lyell Alwyn Crothers was born on 28 Dec 1934 in Scottsdale, died on 26 Mar 1994 in Beaconsfield, Tasmania at age 59, and was buried on 29 Mar 1994 in Beaconsfield, Tasmania. Lyell married Margaret Francis Adams on 11 Mar 1961 in Launceston, Tasmania. They had four children: Tanya Margaret, Andrew Paul, Melinda Francis and Mark Alwyn. 5-Mark Alwyn Crothers was born on 13 May 1962 in Launceston, Tasmania and died on 24 Aug 1962 in Beaconsfield, Tasmania. 4-Baby Crothers was born on 26 Oct 1937 and died on 26 Oct 1937. Baby lived only 4 hours. Mother Hilda died 6 days later. Arthur next married Edith Theresa Rainsford Groves. Edith was born on 7 Mar 1917 and died on 14 Jun 2009 at age 92. They had seven children: Ian, Gillian, Barbara, Colleen, Mary Lynn, Jennifer and Laurice. 4-Ian Crothers. Ian married Helen (Crothers). 4-Gillian Crothers. Gillian married Patrick Henry Kirkham. They had four children: Anthea, Janine, John and Peter. 4-Barbara Crothers. Barbara married Robert Ian Jessup on 5 Dec 1965. They had three children: Dale, Annete and Karen. 4-Colleen Crothers. Colleen married Richard Thompson. 4-Mary Lynn Crothers. Mary married George Bishop. 4-Jennifer Crothers. Jennifer married Graham Malcolm.